Basic Plum Cake Recipe, yields soft, moist, rich in flavors fruit cake, I’m sure everyone will love it. The leftover can be refrigerated and it is good for about a week. 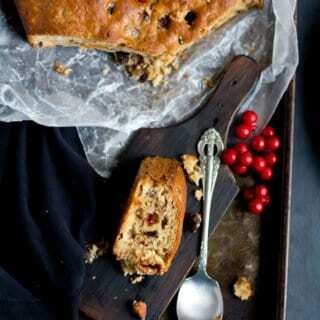 We do not wait for winter and Christmas to enjoy these goodies, we make it whenever we crave for plum cakes. 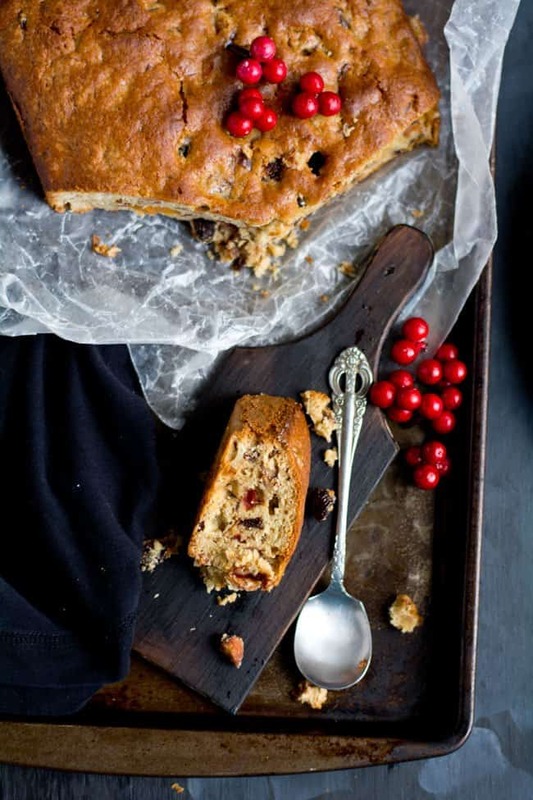 Plum cakes are my husband’s favorite, he loves it because of its mild sweetness and rich taste. Stores are loaded with plums cakes, but often we ended up getting dry, throat chocking versions. So, homemade is always good, as they are fresh and it is customized to suit your taste. Our other favorite cakes are Funnel cake, Vegan Cake. Substitute rum/brandy with apple juice(store bought), if you prefer. The cake taste good if it soaked for about a day. I have added dried plums, dates, dried cranberries, black and golden raisins, dried apricots, cashews, walnuts, almonds. You can add all of these or any combo of these nuts and fruits.But more the varieties is good. 1. Chop about 2 1/2 cups of dry fruits into small chunks. Hint: You may go for your favorite dry fruits, more the varieties, more the tasty. I have added dried plums, dates, dried apricots, dried sweetened cranberries, black raisins, golden raisins, dried pineapple, cashews, walnuts, almonds. 2. Add 3/4 cup of rum/brandy, stir it well. and rest it for 1 day, bu stirring it occasionally. 3. After a day, the dried fruits absorbs all the liquor and looks moisture. Set aside, we need it later steps. 4. Preheat the oven at 325°F. 5. Beat half a cup of butter and 1 cup of sugar well. then add eggs one at a time and continue to beat it. Then add baking powder, nutmeg powder, vanilla essence, cinnamon powder and little flour at a time. Scrape the side and continue to beat until, everything combine together for forms a uniform mixture. 6. Then add kept aside dry fruits, and fold it gently with the spatula with the flour mixture. 7. Grease and dust a baking pan, add the batter upto 3/4th full. Bake it for about 25-30 minutes or until inserted toothpick comes out clean. Hint: Baking temperature depends on the size of the pan and your oven, so keep an eye while baking. 8. Transfer it to a cooling rack. And serve. Adjust or substitute alcohol with store bought apple juice. The baking time depends on the size of the pan and the oven. So baking time varies accordingly. If it starts aromatic, it is the sign of final stages of baking. Add dry fruits and nut of your choice. 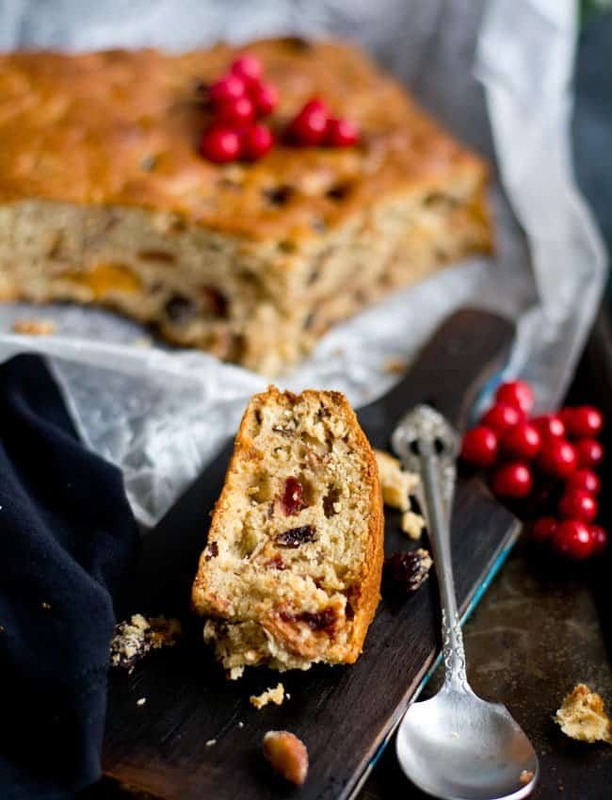 Basic Plum Cake Recipe, yields soft, moist, rich in flavors fruit cake, I'm sure everyone will love it. Chop about 2 1/2 cups of dry fruits into small chunks. Add rum/brandy, stir it well. and rest it for 1 day, bu stirring it occasionally. After a day, the dried fruits absorbs all the liquor and looks moisture. Set aside, we need it later steps. Beat butter and sugar well. then add eggs one at a time and continue to beat it. Then add baking powder, nutmeg powder, vanilla essence, cinnamon powder and little flour at a time. Scrape the side and continue to beat until, everything combine together for forms a uniform mixture. Then add kept aside dry fruits, and fold it gently with the spatula with the flour mixture. Grease and dust a baking pan, add the batter upto 3/4th full. Bake it for about 25-30 minutes or until inserted toothpick comes out clean. Hint: Baking temperature depends on the size of the pan and your oven, so keep an eye while baking. Transfer it to a cooling rack. And serve. Liked this basic plum cake recipe? follow us on Facebook, Pinterest, Instagram.